I found Instyle’s Hollywood Makeover website when I was looking for new hairstyle ideas. You upload a photo of your face, line it up, and select a hairstyle (from a huge collection of celebrity photos) which then appears on your face. I haven’t laughed so hard in a long time! Once you select a hairstyle (and even change the hair color) you can choose face and eye makeup, creating a complete makeover, which I did. If you register on their site you can save and download your makeover photos and it’s all free. I brought this more reasonable makeover photo to my hairdresser, who rolled her eyes since the original model (Jennifer Garner) has thick, straight hair and mine isn’t. But with the help of her scissors and blow dryer, I did get something close. Of course now my hair has gone native again, back to curly, since that’s so much easier than trying to turn it into something it isn’t with gels and blow driers and clips and pins and staying out of the wind and fog. 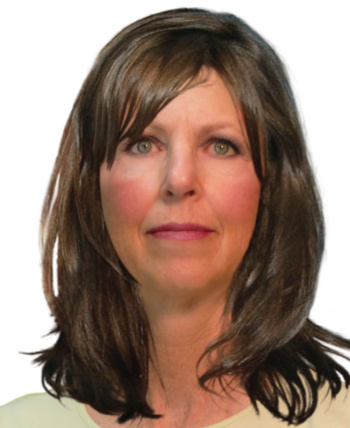 If you try the makeover site, please share the results! Or at least enjoy the laugh! Previous Post: Where Did the Day Go? Wow! Amazing! What fun! Love that you decided that it is easier to be happy with what you have. Seeing the gaga hair on a normal, healthy-looking face just emphasises how bizarre it really is… I recently tried on a friend’s blonde wig and was quite alarmed by the result! What fun! You always add a spark to my day! A very great self portrait. Once again, such a good control of colors and original composition. More from me. Speaking of hair styles, it seems to me that the first (natural) style has your hair looking quite a bit like Botticelli’s Venus (rising from the waves), only dark, not red-gold. Love that view through the mirror..a painting that can read as so much! Love it! What a fun post, I loved the photos & your selfportait. Excellent self-portrait! I’ve tried those websites for trying on hair and I know they can get really funny sometimes! in me who wanted to try out everything. Love your mirror and books portrait. 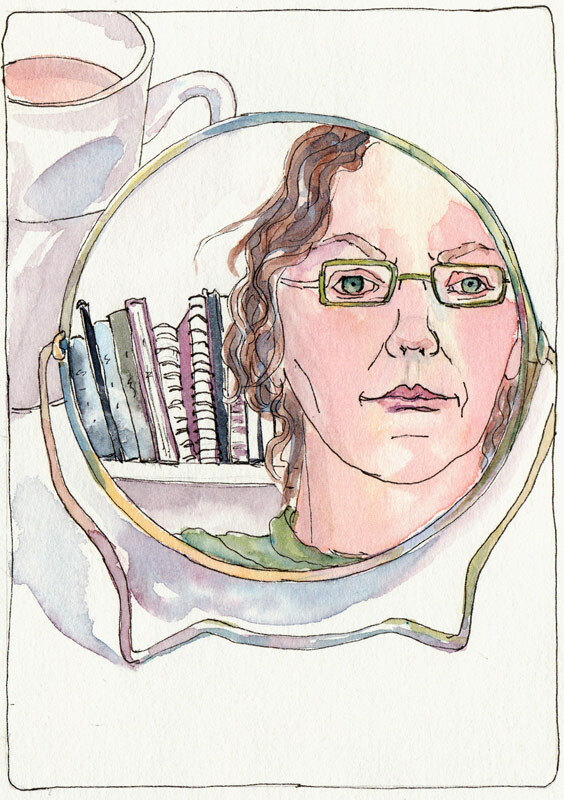 Love this self portrait-unexpected depth with the mirror. Oh dear! Lady Gaga hair? I honestly don’t know what to say:) Go native! 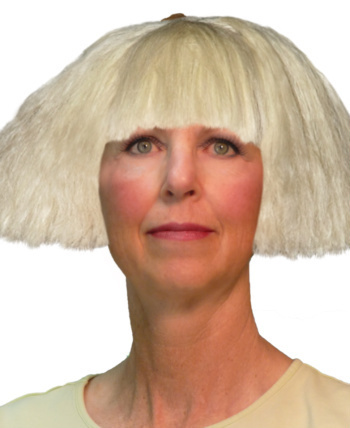 You totally rock that GaGa hair. Yes indeed!